Billings Clinic belongs to the Mayo Clinic Care Network, and like the Mayo Clinic uses a physician-led organizational model for its integrated not-for-profit hospital and clinic. Employing more than 250 physicians, Billings Clinic is the largest healthcare organization in Montana and manages multiple critical access hospitals in Montana and Wyoming along with numerous regional clinics. It also has a 90-bed rehabilitation and assisted living facility. Specialists visit outreach clinics in rural Montana, Wyoming and North Dakota. In 2014, Billings Clinic launched Montana’s first internal medicine residency, starting with a dozen residents. 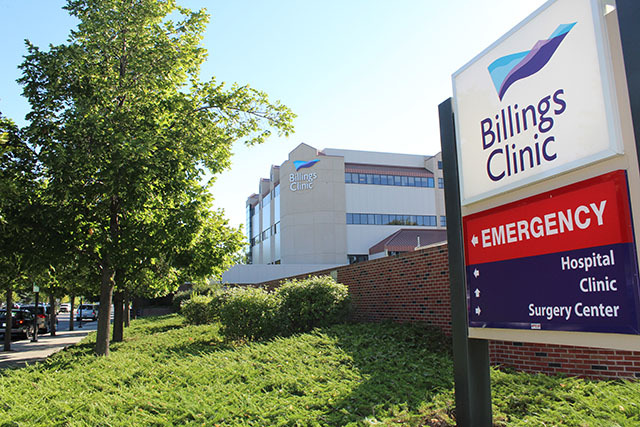 Expansion and renovation of the Billings Clinic since 2012 has included a 35,000 square foot cardiac center, a new 24-bed intensive care unit and expansion of the neonatal intensive care unit. The inpatient service at Billings Clinic includes an MFMR attending, a second-year resident and an intern. Montana Family Medicine Residents provide inpatient medical and pediatric care. Sponsored by the Sisters of Charity of Leavenworth Health System (SCLHS), St. Vincent Healthcare operates a not-for-profit, faith-based hospital with a 286-bed hospital and 30 clinics. In addition to five neighborhood medical clinics in Billings, it has four regional primary care clinics in south-central Montana and one in Wyoming. St. Vincent Healthcare relies on an integrated hybrid model of employed, contract and independent physicians. The hospital was founded in 1898 by the Sisters of Charity of Leavenworth. The inpatient service at St. Vincent Healthcare includes an MFMR attending, a third-year resident and an intern. Residents provide both inpatient and obstetric care. They also work in the Emergency Department, the ICU and Maternal-Fetal Medicine, and many other specialty groups.